A developer has shared some interesting details on the forthcoming firmware update for the Mac. 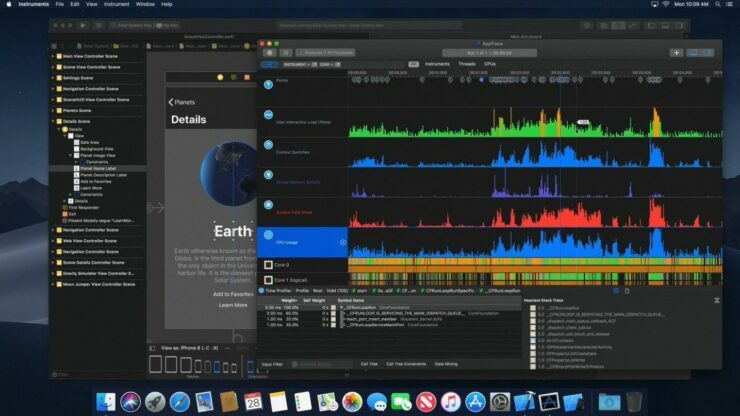 Steve Troughton Smith has been doing some digging and found out that macOS 10.14 will support an all new dark mode or dark theme. The setting will be enabled via the toggle operation and will provide an overall dark UI shift for all apps chrome. So let’s dive in to see some more details on the matter. Steve details that Mac App Store uses the API on the back is including a video preview for Xcode. The current Mac App Store does not feature support for the API. As of now, this contributes to a big leak in terms of what we were expecting from Monday’s keynote. If you’re interested, check out the video shared below for more details. According to the leaked macOS 10.14 video, another major feature will be an upgraded App Store app which supports video preview. The update will bring the iOS 11’s UI design change to the Mac. As for the dark mode, it only changes the appearance of the menubar and the dock. In the screenshots provided, you can take a look at how the Cupertino giant is planning to go ahead with the dark mode in Xcode 10. Also look at the trash icon that looks a lot darker than what we’re used to. In terms of the dark UI chrome, the toolbar buttons have been turned dark gray while the glyphs feature white tints. If you’re familiar with the editing mode in Photos app, this looks a lot like that. 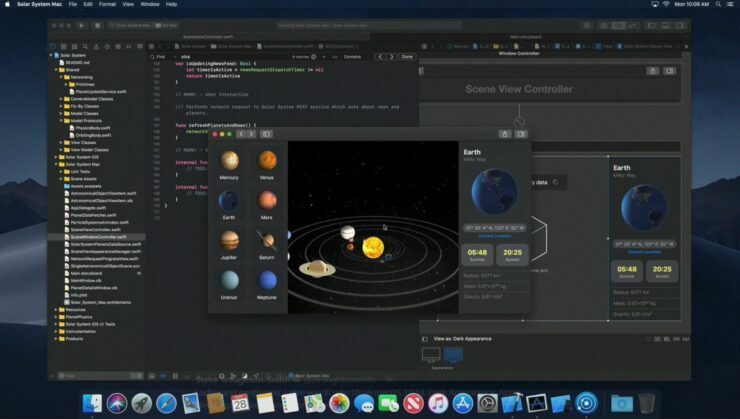 The macOS 10.14 leaked screenshot gives room for authenticity given the previous leaks regarding a dark mode appearance API preference in WebKit source code. Moreover, if you take a look at the wallpaper behind the window chrome, you will see a new wallpaper that appears to be as mountains or sand dunes. So we can presume that there will be new wallpapers as well which will go with the dark mode. There will be more to the story, so be sure to stay tuned in for more details. This is it, for now, folks What are your thoughts on macOS 10.14? Are you looking forward to a dark mode theme? Share your views with us in the comments.